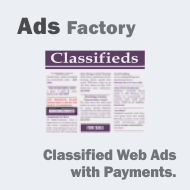 Ads Factory offers the easiest way to publish classified web ads. 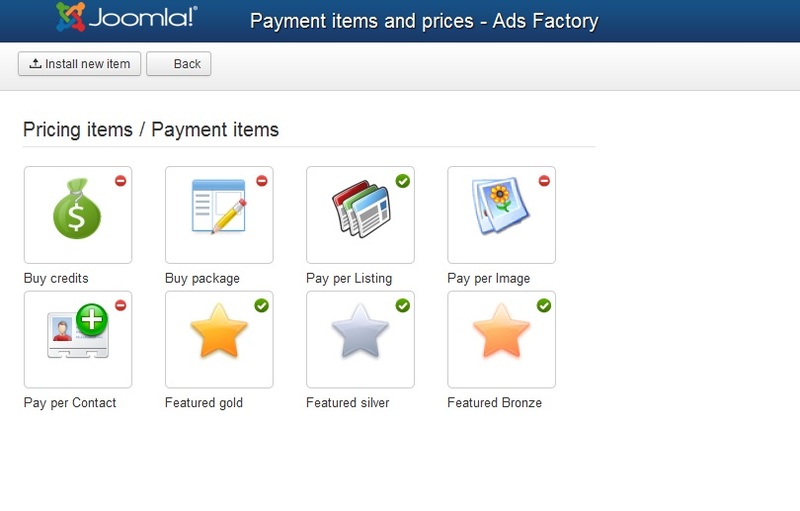 Our extension is a turnkey solution for both Joomla! webmasters and unfamiliarized users alike. 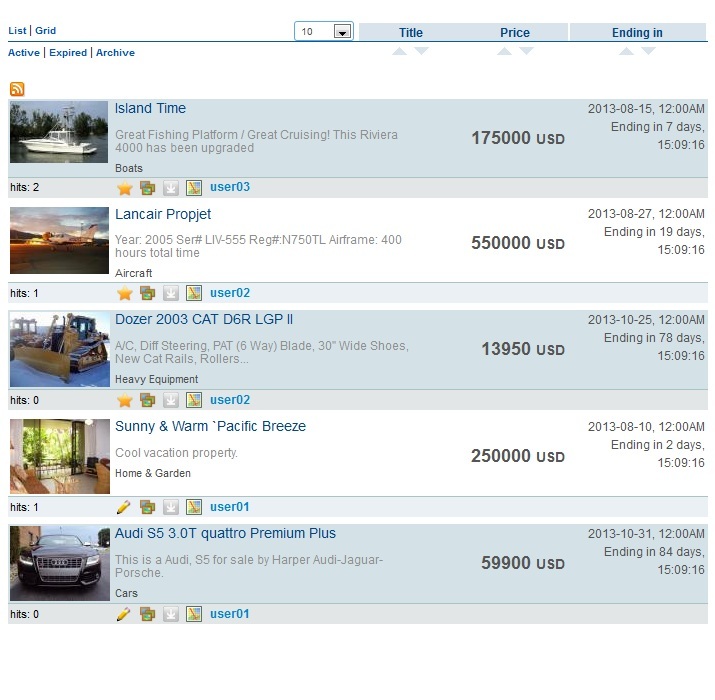 This extension performs an outstanding balancing act between its versatility on display, mixed with custom field flexibility and finalized with multiple revenue possibilities. 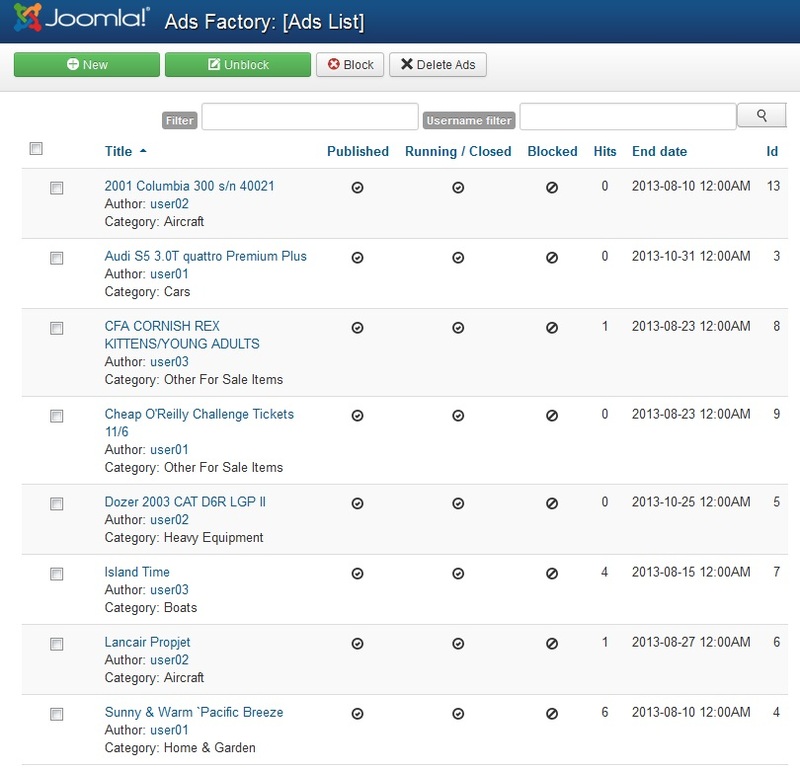 Ads Factory 4.5.0 released on October 18, 2018. 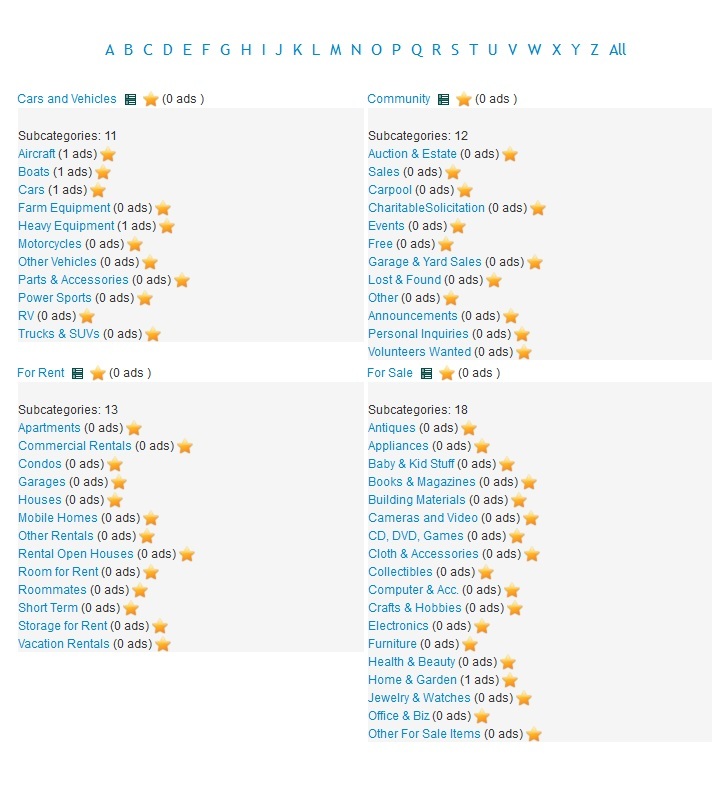 New feature: images for main categories. 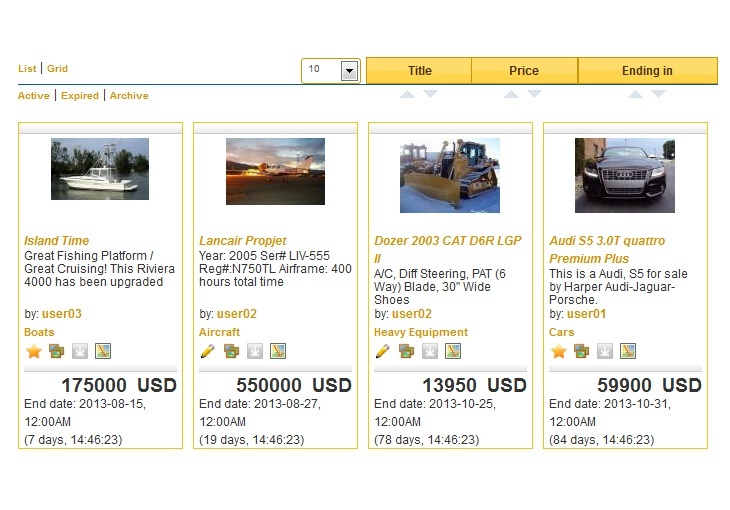 New feature: grid display for search results. 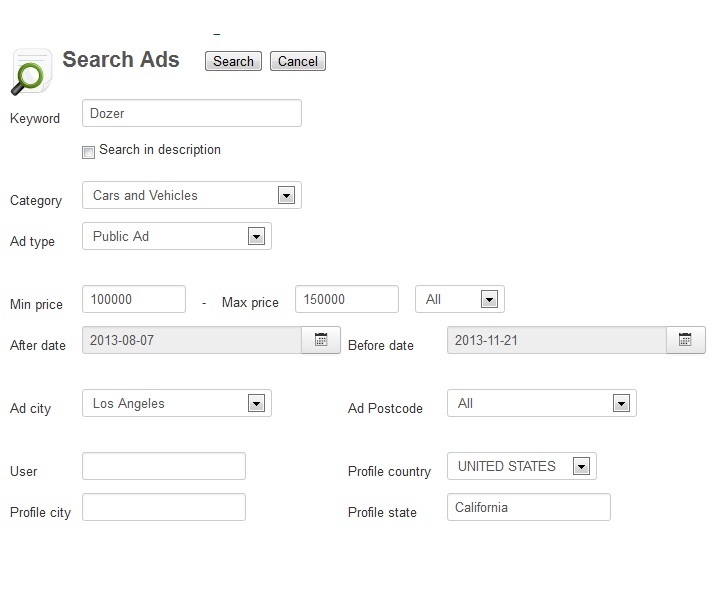 new feature: watermark text for ads images. 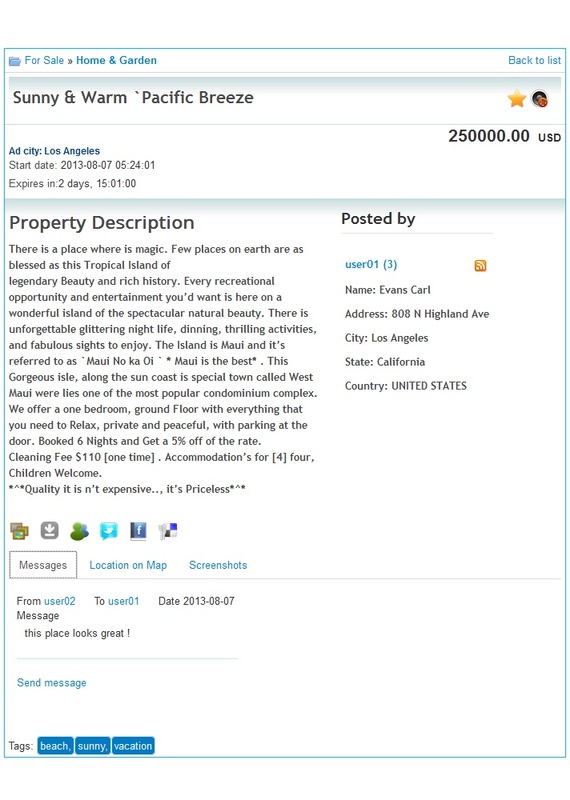 Fixed several issues including post without terms and conditions, location on map in ad details, posting two steps ads, etc. 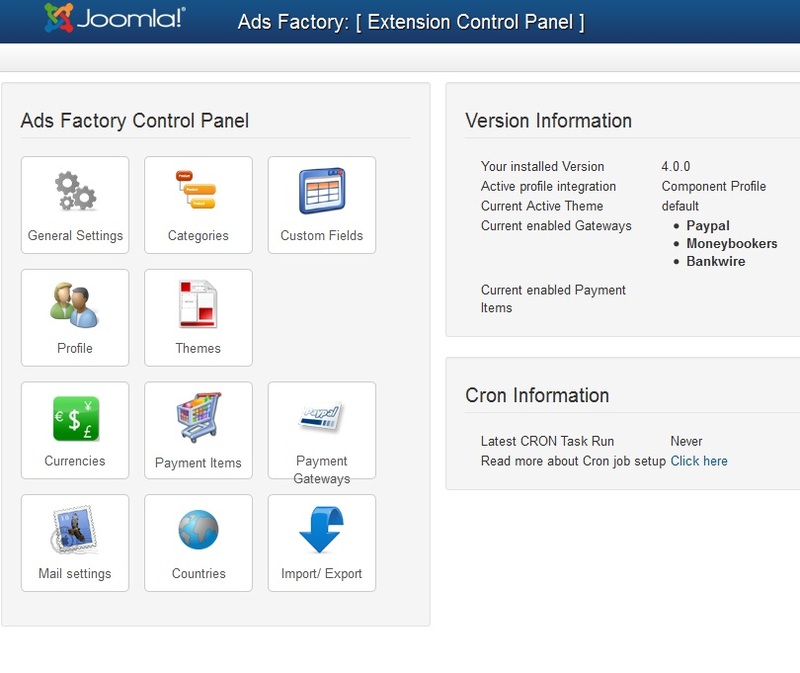 Ads Factory 4.4.2 released on June 15, 2017. 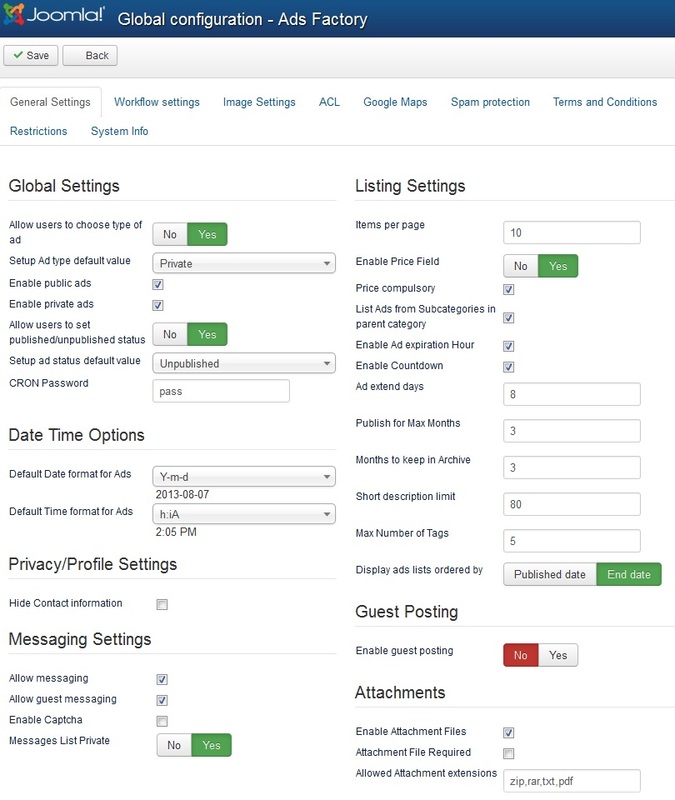 Fixed issue regarding custom fields filters, when upgrading or installing (that could cause blank page, with Joomla's JInputFilter class). 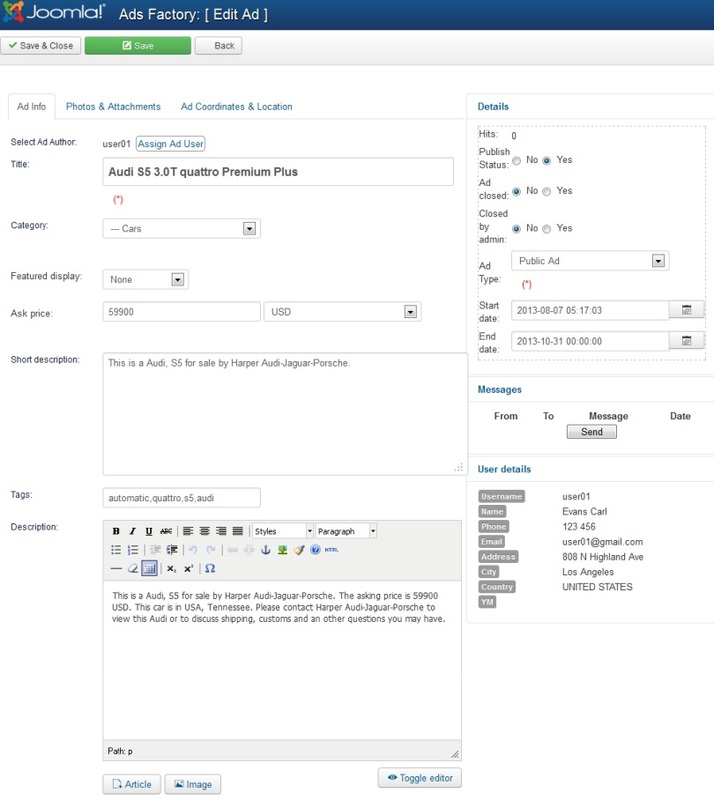 Ads Factory 4.4.1 released on April 26, 2017. 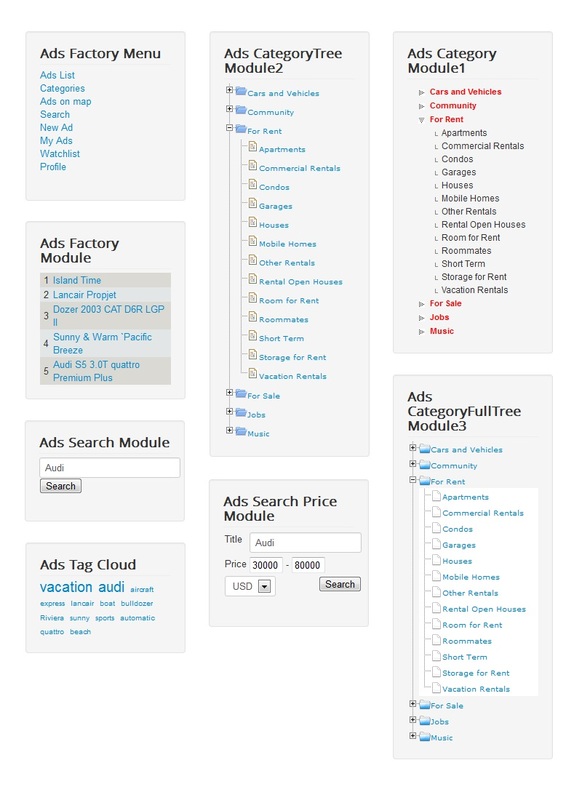 Ads Factory 1.0.0 released on January 25, 2009. 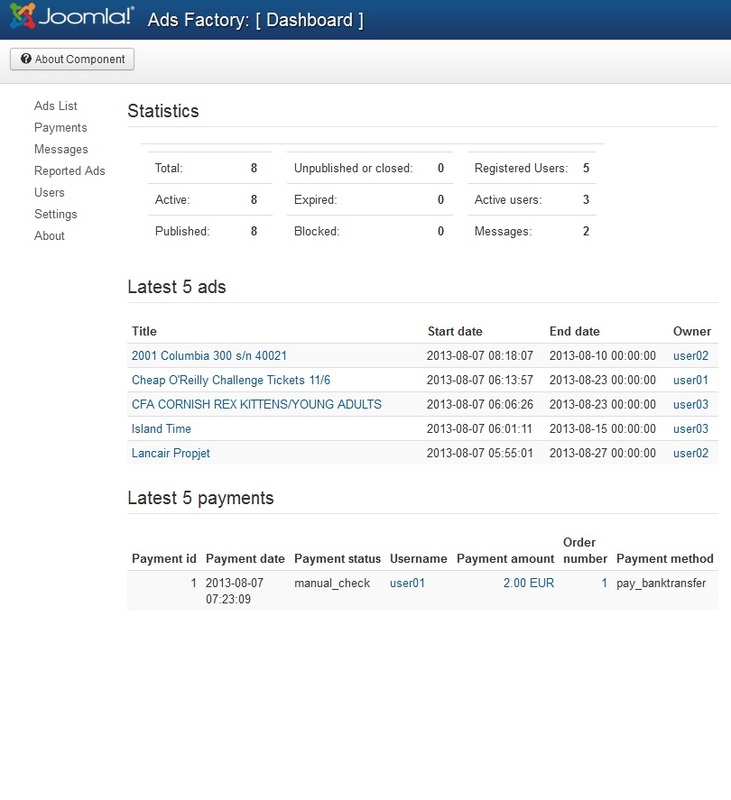 Screenshots are representing version 4.0.0 of Ads Factory.